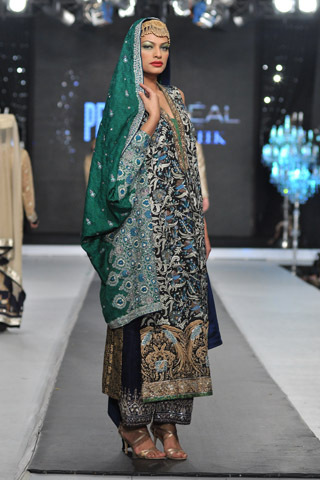 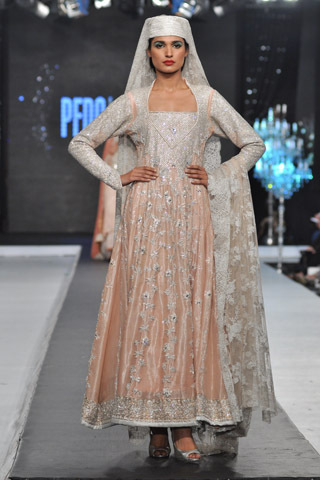 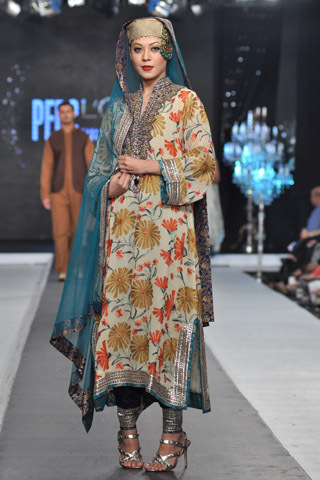 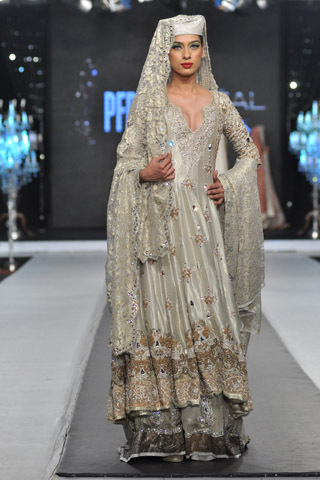 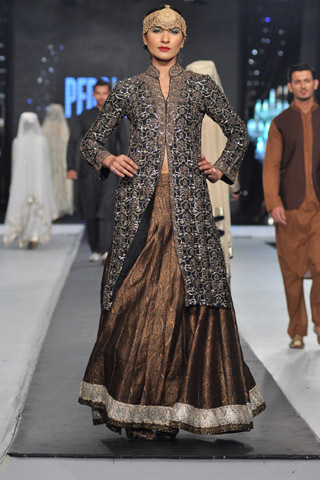 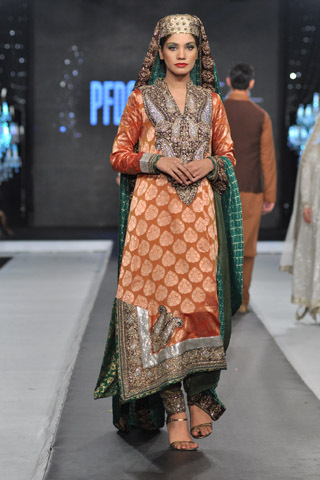 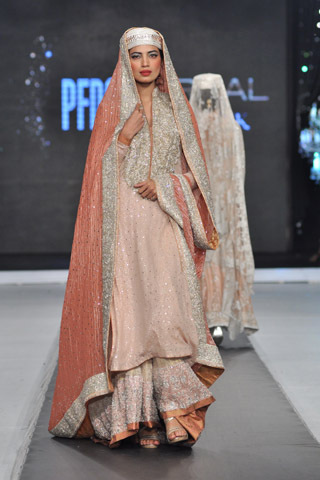 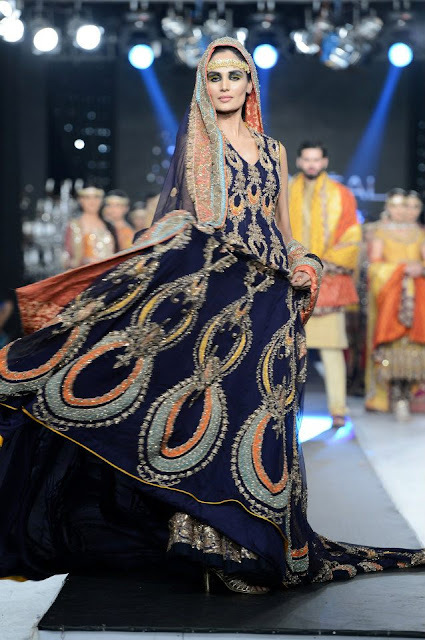 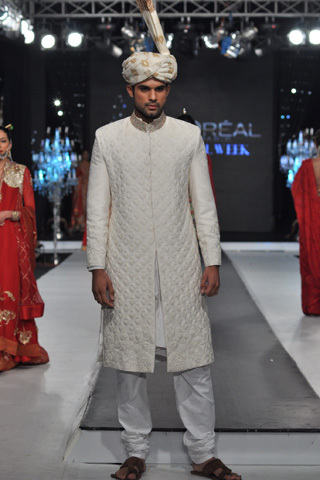 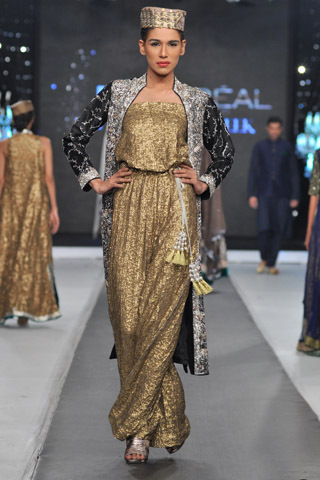 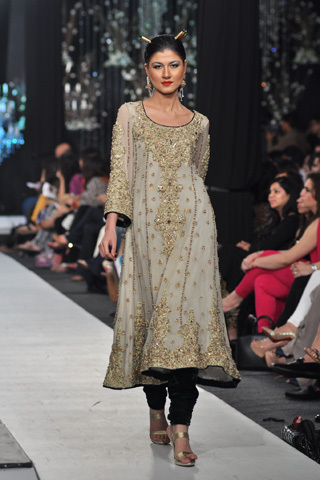 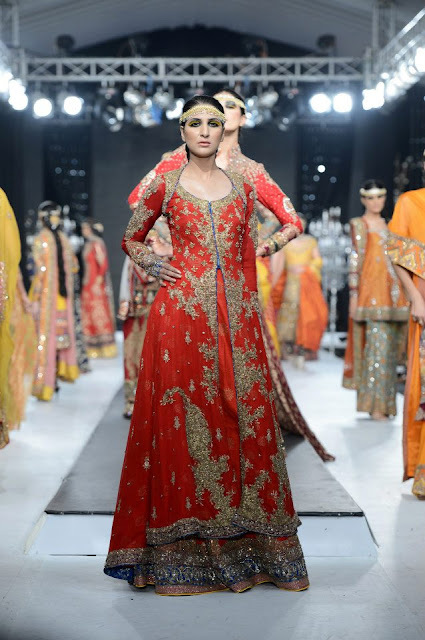 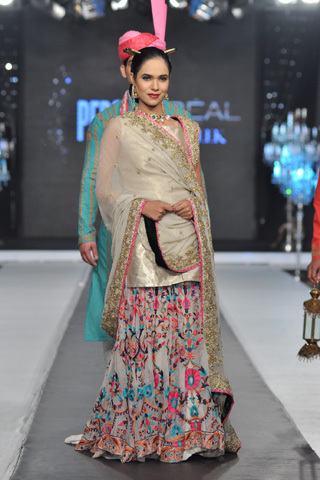 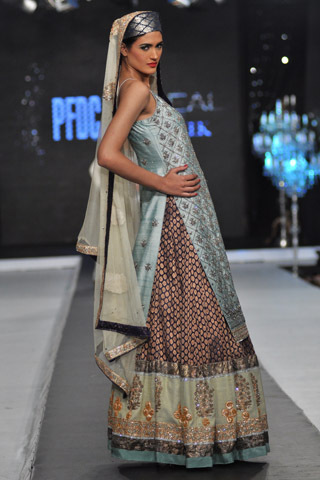 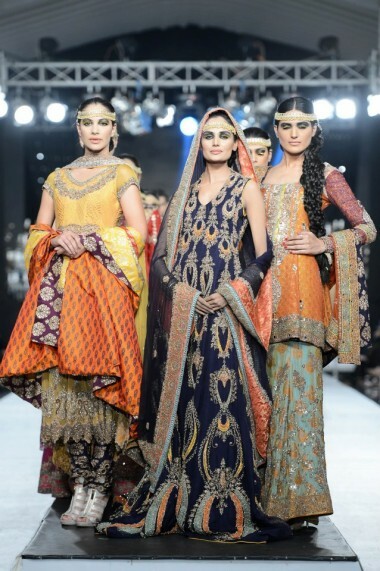 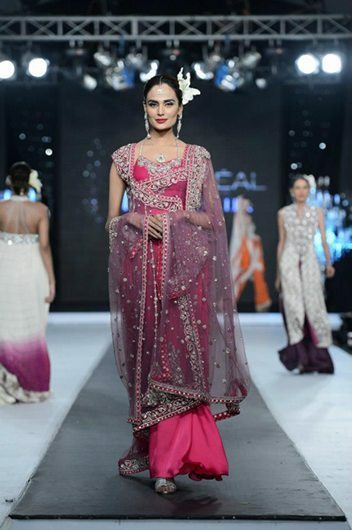 Nida Azwer - Stunning Kashmir inspired collection. 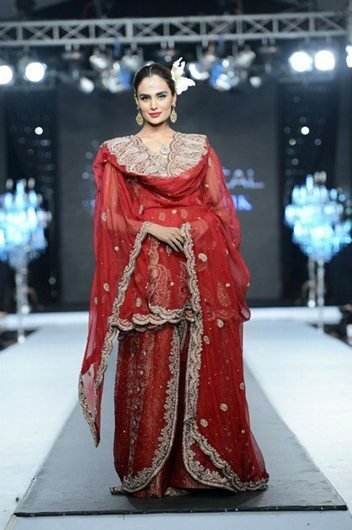 If you're a more traditional bride but don't want to give up the bling-bling, this is the collection for you. 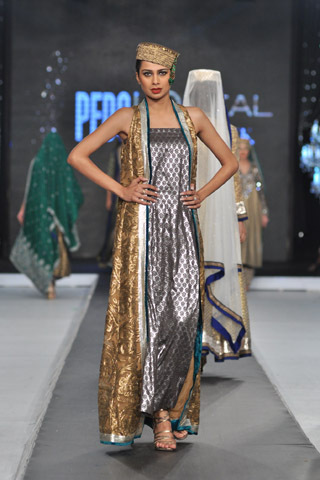 Covered up yet still glamourous! 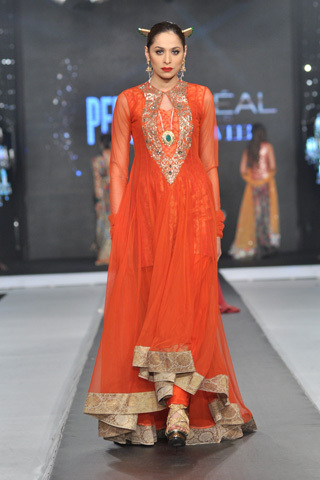 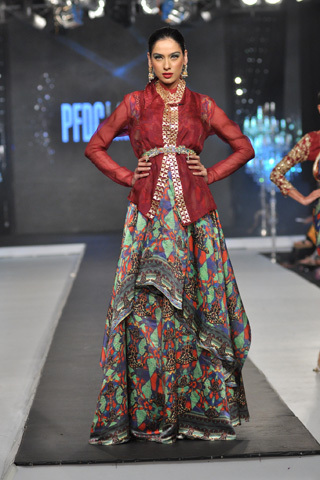 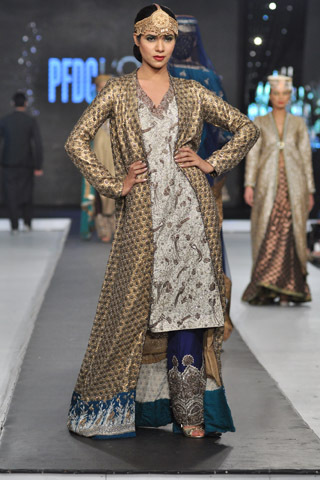 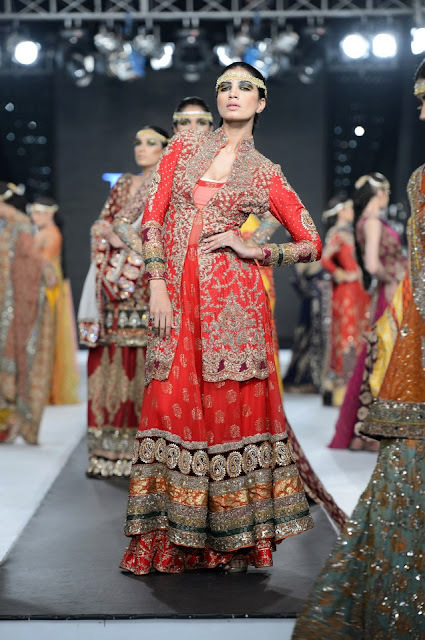 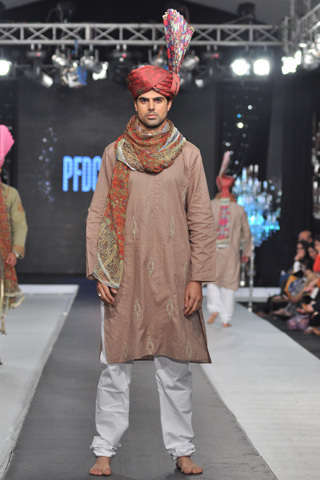 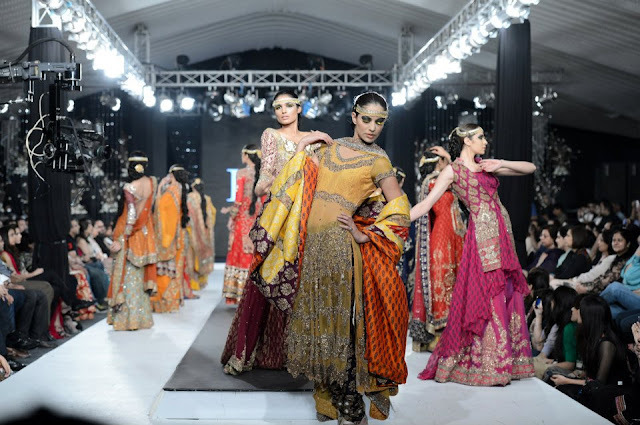 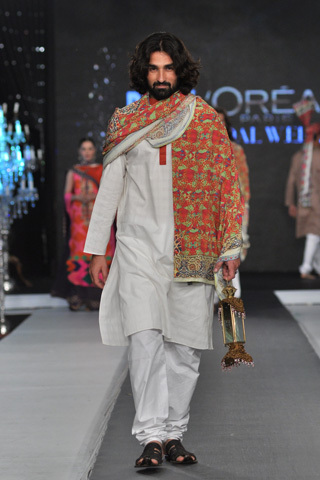 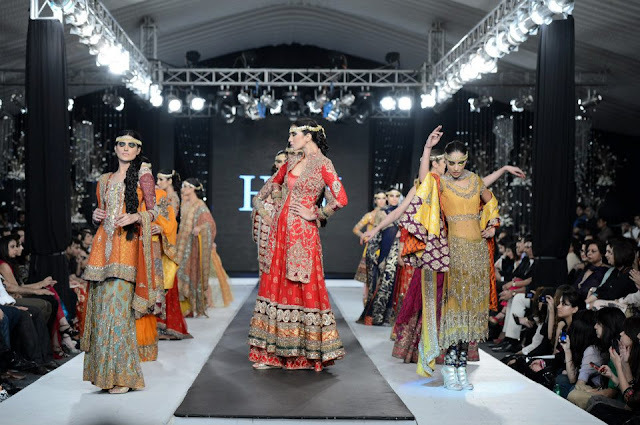 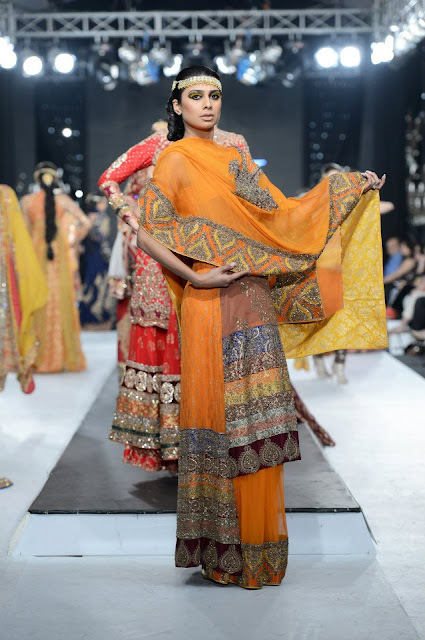 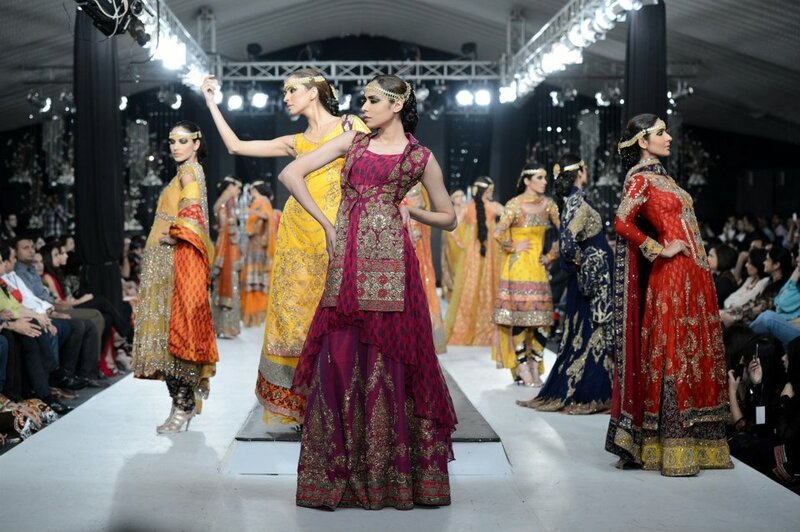 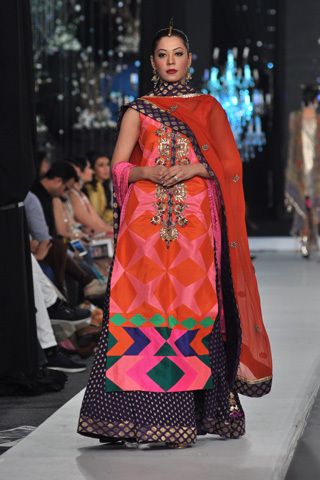 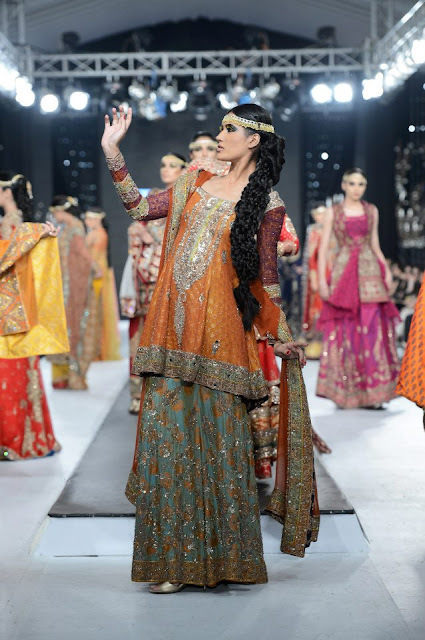 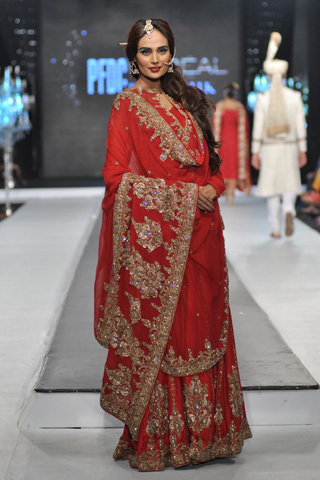 Fahad Hussayn - Love the prints, sheer sleeves, and bright colours! Do NOT love the devil horns on the model's heads. 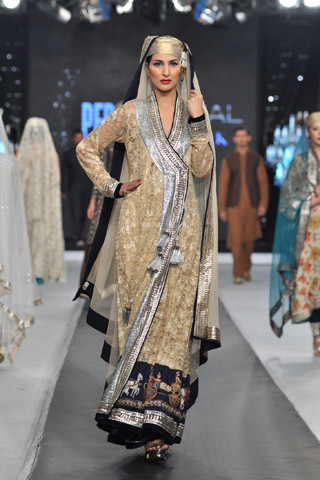 Saai - A simpler collection compared to the others, yet not as traditional. 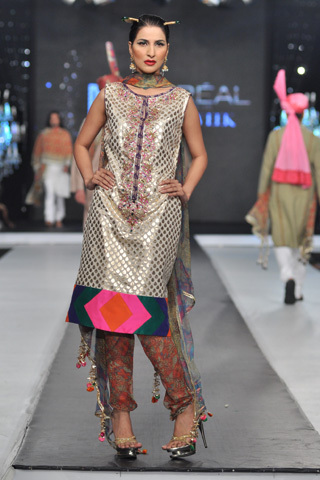 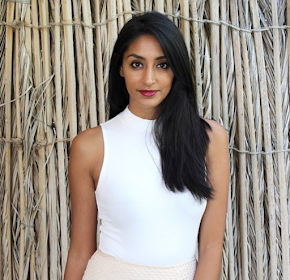 Fusion looks are used throughout. 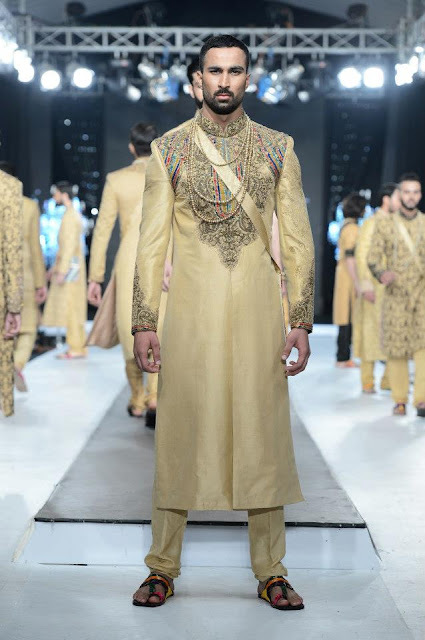 HSY - Great collection by the King of Couture. 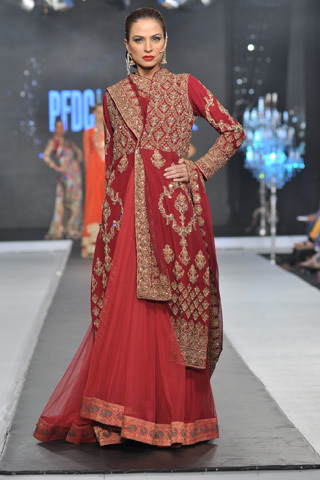 Intricate embroidery, strong colours and very classy. 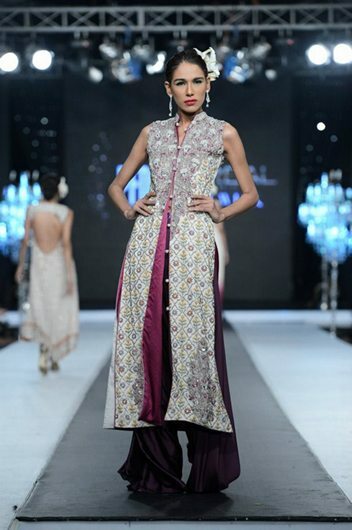 Make sure to catch top designer HSY at the International Asian Fashion Awards in London. 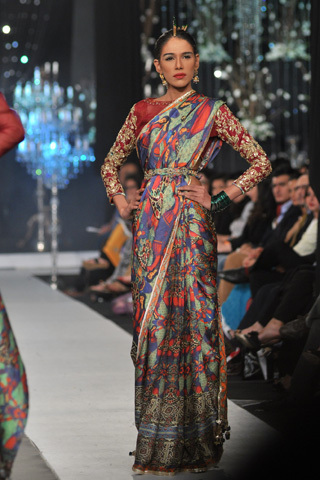 Get more information about the awards here.